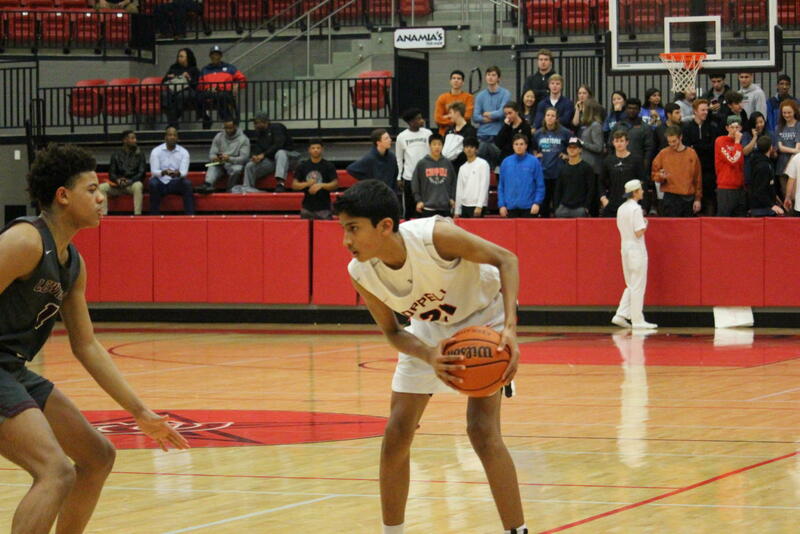 Coppell freshman Ryan Agarwal handles the ball on Tuesday Jan 22 at CHS arena. The Coppell Cowboys lost to the Lewisville Farmers 71-57. On Tuesday, Lewisville handed the Coppell boys basketball team its first District 6-6A loss, 71-57, at the Coppell High School arena. Although the Cowboys went into the game with a victory over the Farmers already under their belts, they knew it would not be an easy addition to the win column. 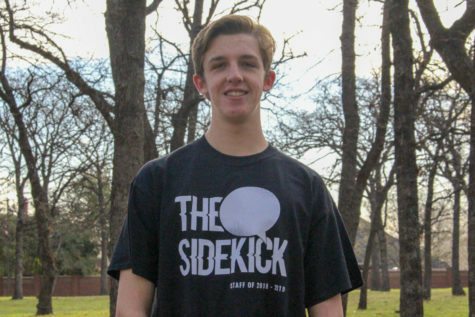 Last time the two teams met, Coppell overcame a deficit to send the game to overtime and won it. However, something was different for the Cowboys this time. The Farmers took this to their advantage early on to grab a 17-10 lead at the end of the first quarter. Although Coppell’s comeback attempts would ebb and flow – getting closer to catching up, then falling back again – it was never able to fully make up the deficit. At half time, the Cowboys trailed, 34-22. Despite the loss, the Cowboys are still atop the district standings at 7-1. Lewisville is trailing closely behind at 6-2. The Cowboys play again tomorrow at 8 p.m. against Marcus in their next district game.